Real Time Gaming celebrate the life of J P Richardson, better known as The Big Bopper with this new video slot game that is now available at online casinos that support players from within the USA. The Big Bopper was one of the big music stars of the fifties. His rock'n'roll style and rockabilly looks made him an instant success. Starting as a DJ he quickly progressed and had a huge success with Chantilly Lace. The Big Bopper was on the flight that crashed in 1959 killing The big Bopper himself along with Buddy Holly and Ritchie Valens. Standard gameplay is simple. There is an autoplay feature and you can adjust the speed of the reel spins for a quicker game. You get paid wins for matching symbols from left to right on adjacent reels. The game offer WILD symbols, scatters that form the bonus. The WILD symbol is The Big Bopper himself and appears stacked on reels 2, 3, 4 and 5. When you get a win using the wild symbol you will enjoy a 3x multiplier. The BONUS symbols appear as the word BOPPER across the six reels with a 'B' on reel 1, and 'O' on reel 2 etc. Get three or more consecutive BONUS symbols BOP on reels 1, 2 and 3 or PER on reels 4, 5 and 6 and you will be given a free re-spin the BONUS symbols you have will be held in position and the remaing reels will re-spin, theic continues until no more additions to the bonus word are made. If you spell out BOPPER across the reels one of three great bonus games will be triggered. During the bonus The Big Bopper will sing you Chantilly Lace and with the instant win the cash prize will increase as he sings. 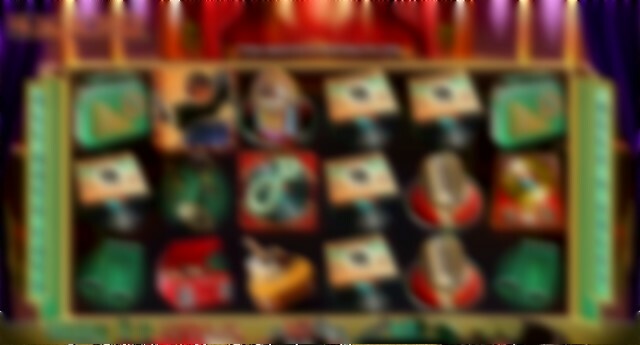 For the FREE SPINS bonus the number of free spins to be awarded will increase as he sings. There is also the White Lightnin' Free Games bonus which awards free spins whilst The Big Bopper is singing White Lightnin'. This is fun game that everybody can play easily. There is a high payout chance and the multiplier available will always increase your winnings. There are some great new online casinos now available. Choose from the list below to find a new internet gambling and gaming experience.